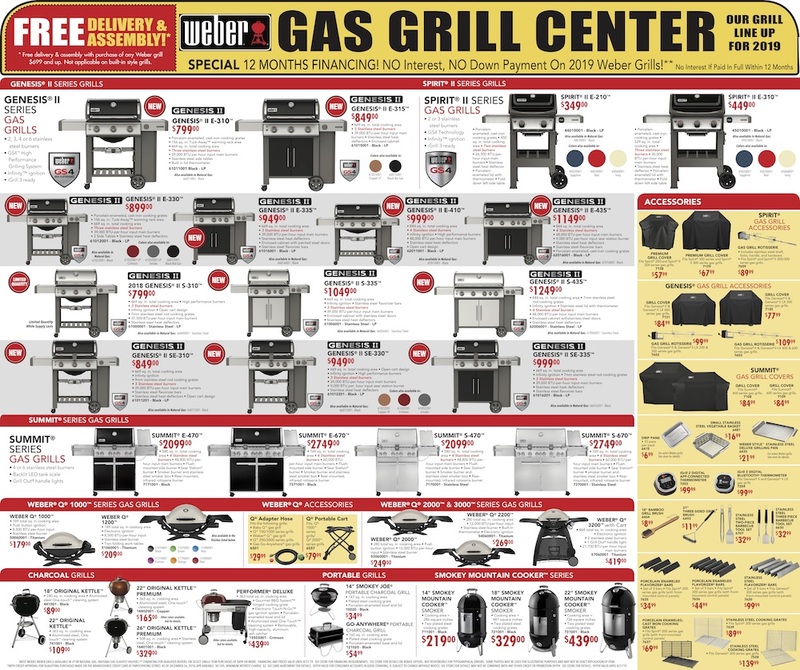 Enjoy FREE Assembly & Delivery on qualifying Weber Grills, PLUS special 12-Month 0% Interest Financing for qualified buyers. Get a jumpstart on grilling season. 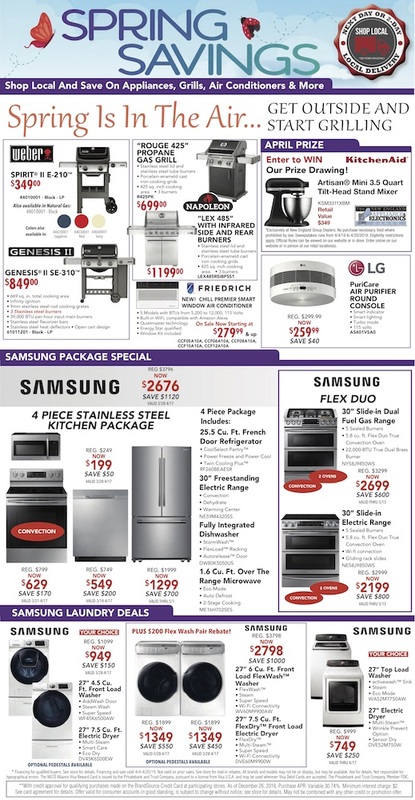 View our flyer today!